Several Red Hat engineers attended the JTC1/SC22/WG21 C++ Standards Committee meetings in November 2017. This post focuses on the sessions of SG1, the study group on parallelism and concurrency. SG1 had a full schedule as usual, with Executors, Futures, and deferred reclamation mechanisms (e.g., RCU) being major discussion topics. We also started to track the state of proposals and topics we will need to discuss in a publicly accessible bug tracker. Several Red Hat engineers attended the JTC1/SC22/WG21 C++ Standards Committee meetings in July 2017. This post focuses on the sessions of SG1, the study group on parallelism and concurrency. We discussed several synchronization-related proposals, improvements for futures, and, of course, executors. Also, I proposed a few steps that the SG1 community could take to get more efficient in how it conducts its work, which are all inspired by how successful open source projects work. Several Red Hat engineers attended the JTC1/SC22/WG21 C++ Standards Committee meetings in March 2017. This post focuses on the sessions of SG1, the study group on parallelism and concurrency. 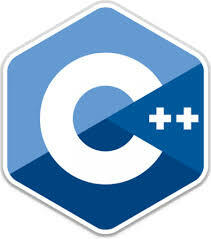 The major topics of work of the week were (1) further polishing of the parallel algorithms in the C++17 draft, (2) making progress on the executors proposal (which provides mechanisms to control how parallel work is executed, for example on which resources), and (3) continuing work on proposals targeting the Concurrency Technical Specification version 2. We also discussed an important aspect of enabling standard C++ code to execute on GPUs, which is a topic that several people in SG1 have a lot of interest in — I certainly do, for example. Several Red Hat engineers attended the JTC1/SC22/WG21 C++ Standards Committee meetings in May 2015 at Lenexa, Kansas, USA. This post focuses on the sessions of SG1, the study group on parallelism and concurrency. Finishing the Technical Specifications (TSes) was one major point on the agenda of SG1. The Parallelism TS (see this draft) and the Transactional Memory TS (see this draft) have been finalized for publication, and the Concurrency TS and has been made ready for a vote and feedback by the National Bodies. GCC does not yet support those TSes but already has the main functionality required by the Transactional Memory TS through implementing a previous specification of the language constructs for transactions. SG1 is continuing to adding features in those areas, but these will target a version 2 of each of these TSes. In this post, I will give examples of recent improvements to concurrent code in glibc, the GNU C library, in the upstream community project. In other words, this is code that can be executed by multiple threads at the same time and has to coordinate accesses to shared data using synchronization. While some of these improvements are user-visible, many of them are not but can serve as examples of how concurrent code in other code bases can be improved. One of the user-visible improvements is a new implementation of Pthreads semaphores that I contributed. It puts less requirements on when a semaphore can be destructed by a program. Previously, programs had to wait for all calls to sem_wait or sem_post to return before they were allowed to call sem_destroy; now, under certain conditions, a thread that returned from sem_wait can call sem_destroy immediately even though the matching sem_post call has woken this thread but not returned yet. This works if, for example, the semaphore is effectively a reference counter for itself; specifically, the program must still ensure that there are no other concurrent, in-flight sem_wait calls or sem_post calls that are yet to increment the semaphore. The new semaphore implementation is portable code due to being based on C11 atomic operations (see below) and replaces several architecture-specific implementations. Several Red Hat engineers attended the JTC1/SC22/WG21 C++ Standards Committee meetings in November 2014 at Urbana-Champaign, IL, USA. This post focuses on the sessions of SG1, the study group on parallelism and concurrency, which met for the whole week to discuss proposals and work on the technical specifications (TS) for both parallelism and concurrency. SG1 mostly worked on finalizing the first revision of the Parallelism TS, and continued working on accepting proposals into the Concurrency TS. The Transactional Memory proposal is also making progress on becoming a TS. Recently Red Hat sent several representatives to the JTC1/SC22/WG21 C++ Standards Committee meetings, which were held in June 2014 at the University of Applied Sciences in Rapperswil, Switzerland. As in past ISO C++ meetings, SG1, the study group on parallelism and concurrency, met for the whole week to discuss proposals and work on the technical specifications (TS) for both parallelism and concurrency. Welcome to part 2 of this two-part article on C/C++ Programming Abstractions for Parallelism and Concurrency. If you missed Part 1, view it here. Let us now switch from concurrency to parallelism. I already mentioned that C++11 and C11 provide support for creating threads that execute additional work in parallel or concurrently. However, these facilities are rather resource abstractions (i.e., for operating system threads) than abstractions aimed purely at parallelism. One target for the latter is often task-based parallelism, which allows programmers to split a part of a program into tasks (i.e., units of work). These tasks will run in parallel, but they can also depend on other tasks in which case a dependent task will not start executing until all it’s dependencies are fulfilled (e.g., until a prior task has finished generating output that constitutes input for the current task). This essentially creates a directed acyclic graph (DAG) of tasks; tasks that are not ordered in the DAG wrt. each other can execute in parallel. We explicitly create a new thread and join the thread (i.e., wait for it to complete its work) at task dependencies. We need error handling and a fallback in case we cannot create another thread for some reason. When writing parallel or multi-threaded programs, programmers have to deal with parallelism and concurrency. Both are related concepts but are not the same. In this article, we will review the differences between them and outline a few programming abstractions for both (in particular, atomic data types, Transactional Memory, and task-based parallelism). Red Hat Developer Toolset 1.1 ships with GCC-4.7, which provides (experimental) support for these particular features. Finally, a short outlook on future features proposed for inclusion in the C/C++ standards and considered for upstream GCC. Concurrent execution refers to situations in which several (logical) processes or threads execute at the same time and are not guaranteed to be independent; for example, they could communicate with each other, wait for other threads to make progress, or could have to execute operations mutually exclusive with the execution of other threads’ operations. In contrast, parallel execution refers to several processes performing independent operations that, informally, do not have to consider what the other parallel parts are doing. Nonetheless, parallelism is related to concurrency in that a typical parallel program will also contain concurrent pieces of code (e.g., to merge the results of parallel computations into a single output value). Also, to benefit from parallelism in hardware, concurrent code often tries to execute as much as possible in parallel (see Amdahl’s Law).